ECO MINERALS - The powder that changed my views! I have written quite a few blogs in the past about why I rarely use powders. That was true, up until my workshops and bridal clients started taking me around Australia, and I began testing new products to use one those who prefer powder. I have definitely come around to the idea of using powder, thanks to my experience with ECO MINERALS. Any brand can slap the words ‘natural’ or ‘mineral’ on a product, and instantly be deemed more trustworthy. Unfortunately, you can’t believe everything you read. The makeup market is not very regulated, so brands can say what they like, write what they like and put what they like into any cosmetic product - with no mandatory testing. This means there is no guarantee that your product is a clean, natural, mineral one. You know what I like to say - ALWAYS CHECK THE INGREDIENTS. As a natural, organic makeup artist, I am always looking out for new brands that live up to their labels and perform beautifully on the skin. 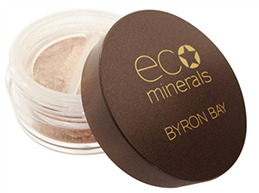 The ECO MINERALS range is 100% pure, safe and natural. Better yet, it actually WORKS! One of my favourite products of theirs is - can you guess - the Alchemy Hi-Light Creme. It suits all skin types and tones. Along with a nourishing texture that catches the natural light - it’s just a simple and stunning products that I use in many different ways. For example - highest points of my face, on the lips as a lip gloss over lipstick to add extra glow, on my eye lids as an eye shadow colour to brighten my eyes, and the list goes on! Flawless Mineral Foundation (Matte finish) - builds up from a natural finish to a full finish. Make sure you have hydrated your skin underneath when applying the foundation so your skin is still being nourished from the moisturiser. Perfection Mineral Foundation (glowy finish) - This is my type of foundation! I love the finish on this one, it is glowy and creates a dewy complexion, yet you are still using a powder. How cool is that! Bronzer & Blush - There is a beautiful finish to both the bronzer and blush, not too shiny and very easy to apply with a brush. It is buildable from a subtle bronze to a contour finish. Perfect for every day and any skin tone. Eye shadows - Strong pigment and beautiful colour range. Very simple and easy to use with the right brushes. The colours blend very easily. My favourite would have to be Indian Summer. I love to apply Alchemy Hi-Light to my lid during the day and Indian Summer through my socket to smoke it up for the night! If you are not 100% happy with the product or if you have chosen the wrong colour, the beautiful team will replace the colour / product for free! 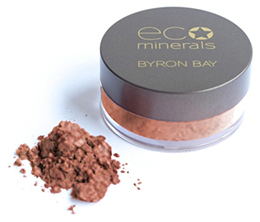 If you're are a powder gal like many of my friends and clients, looking for a natural alternative with real coverage, then I recommend you give ECO MINERALS a try. I know I will be using it from now on!